The Conservatory at South Park is a nice stop as you head out of Buffalo. 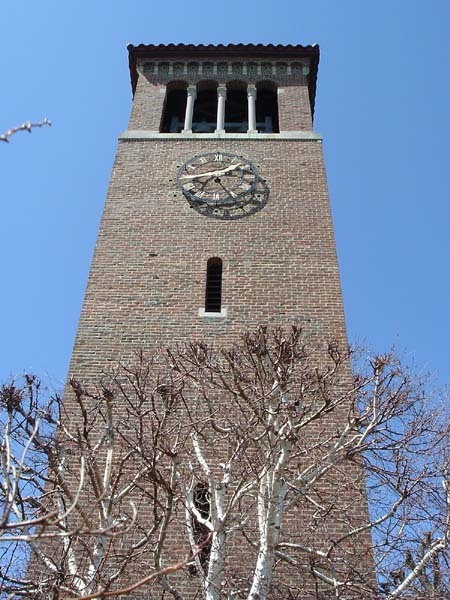 It is located in Lackawanna, off of Route 5. 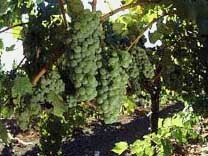 The grape harvest is about to begin. 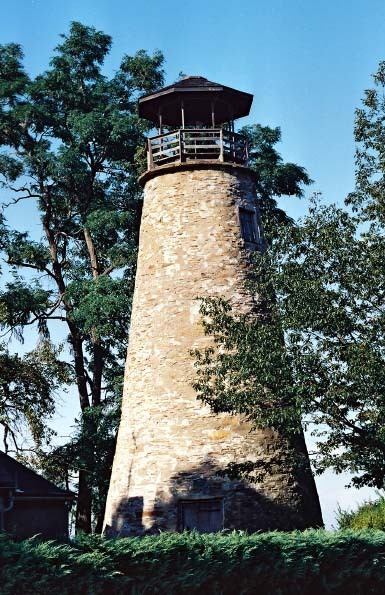 Route 5 along Lake Erie passes through one of the major wine regions of New York State. Stop for a tasting! Storms on Lake Erie are legendary. Lighthouses, like this one in Barcelona, have been guiding mariners to safety for over a century. Lucille Ball was a Jamestown native. She mentioned her hometown often on the I Love Lucy program. This museum in the downtown section celebrates her life (and Desi's) on the screen. The Allegheny Reservation of the Seneca Nation is located just outside Allegany State Park. 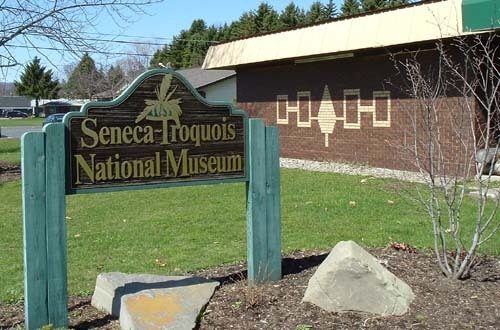 The Seneca-Iroquois National Museum is a great place to stop to learn about the lives of Native Americans in New York State. 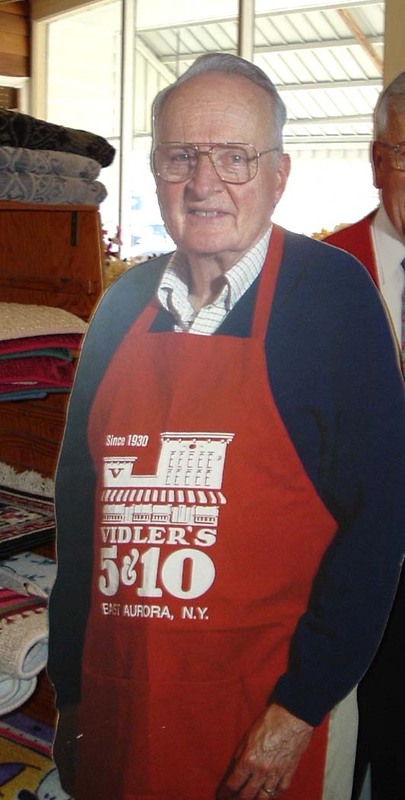 A cardboard Ed Vidler welcomes you to his unusual general store in downtown East Aurora. The village of East Aurora is the home to the Roycroft Community of artists that lived here in the early 1900s. Many of their workshops are still here. One place to visit is the Roycroft Inn. 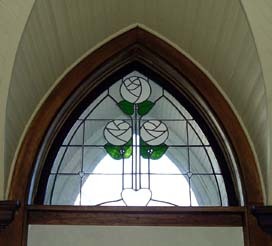 This tulip window is a trademark of the community. The loop begins and ends in Buffalo, the state's second largest city. You travel along Lake Erie through small towns and miles of vineyards. Then you enter the valley of Chautauqua Lake, home to one of the great cultural institutions of America. You head east into the Allegany Country, the only place in the state not glaciated during the Ice Ages. You see weird rock formations at Rock City near Olean. The return trip to Buffalo takes you to the village of East Aurora, home base to the artisan community of Roycroft. From downtown Buffalo take the Delaware Street (Rte. 384) north. You pass through one of most fashionable neighborhoods in the city, with Victorian mansions from Buffalo's golden age. 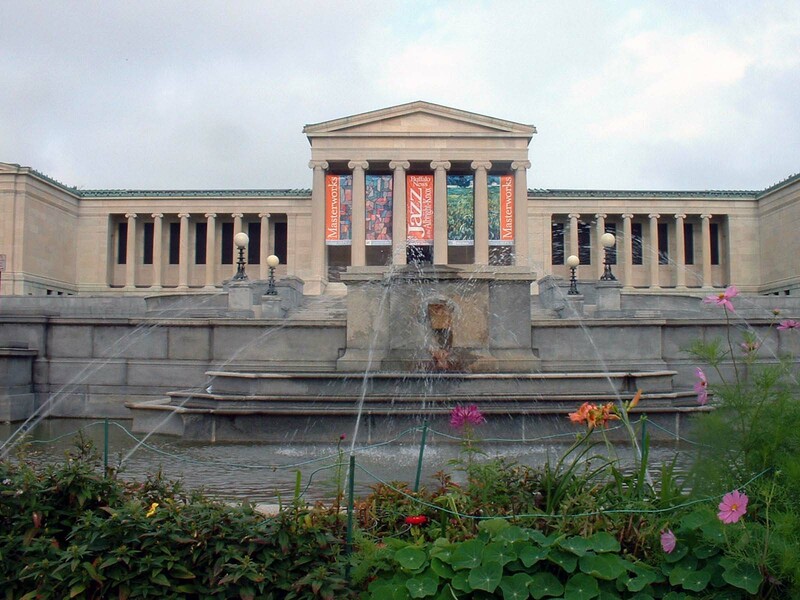 Your first stop is the acclaimed Albright-Knox Art Museum. Even if culture is not your thing, you will enjoy strolling the grounds. Nearby is Delaware Park and the Buffalo Zoo, a favorite with children. Drive back toward downtown on Elmwood Avenue, the "Greenwich Village" of Buffalo. There are many interesting shops and nice restaurants, especially in the Allenwood section. When you reach Main Street, you will notice that there is no traffic. The only moving vehicles are subway cars (above ground here). In this part of the city, you can ride for free. When you are ready to "hit the road," take Route 5 (The Skyway) south toward the industrial suburb of Lackawanna. The steel plants are closed down, but this is not a ghost town. 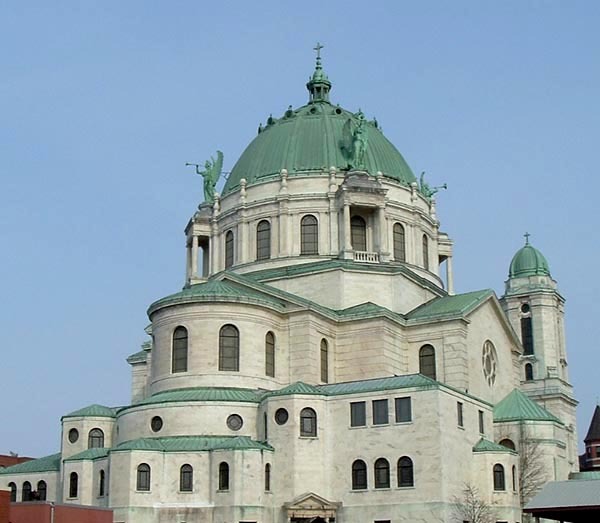 Dominating the skyline is the Basilica, a tribute of the faith of greater Buffalo's immigrant population. The Albright-Knox Art Museum, a world-class gallery. Delaware Park is nearby. 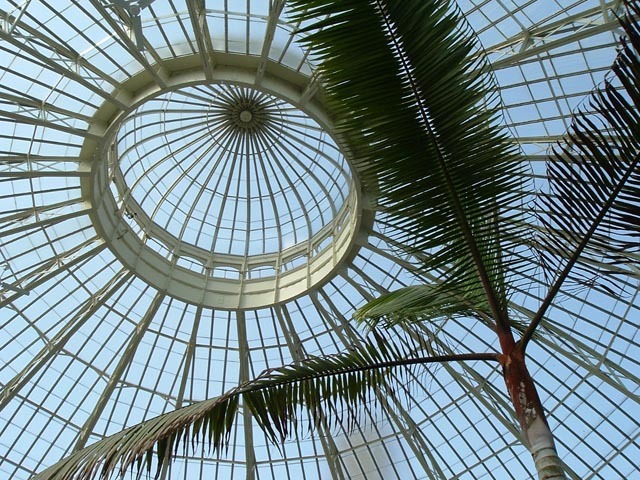 Also in Lackawanna is South Park and the Buffalo Conservatory, that displays plants from all over the globe. Return to Route 5 and follow Lake Erie's shoreline in a south- westerly direction. Take the opportunity to visit one of the Lake Belt's many wineries. Stop at Lake Erie State Park, a great place for swimming. Also, you can see lighthouses that dot the coast line (like the one in Barcelona, pictured at the far left). Barcelona is where you turn away from Lake Erie on Rte. 394, through Westfield and on to Chautauqua Lake. About ten miles down the lake you arrive at the Chautauqua Institution, which has been a popular cultural get-away for over a century. If you are going during the summer season, reservations are recom- mended. At the south end of the lake is small city of Jamestown. TV fans should see the Lucy-Desi Museum in the city center. Jamestown was Lucille Balls' home town. On the outskirts of Jamestown, you pick up I-86 (formerly Rte. 17), the Southern Tier Expressway. (For those who prefer a slower pace, stay on Rte. 394). 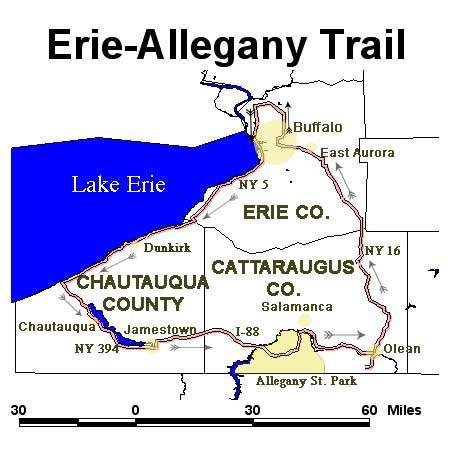 Use Exit 17 to enter Allegany State Park, the largest in the state. Since glaciers never scoured this landscape, it has a unique atmosphere. There are many places for camping, hiking, and picnicking. Road ASP 1 takes you to Salamanca, the only city in an Indian Reservation. There is casino here, and the Seneca-Iroquois National Museum is a great place to learn about native culture and history. 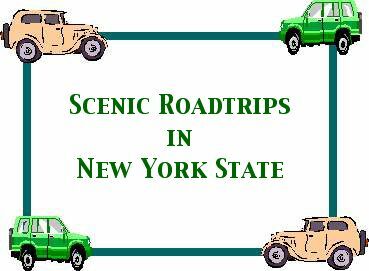 Return to I-86 east and get off in Olean. Drive through the city on Rte. 16. Around ten miles south of town is Rock City, a maze of rocks that you can hike through. Backtrack through Olean and stay on Rte. 16. The road follows a glacial valley (a trough). Take a side trip on Rte. 39 into Arcade. You can ride the historic train of the Attica-Arcade Line. Return to Rte. 16 northbound. It will take you into the pleasant village of East Aurora, home to Fisher-Price and the Roycroft Community. Shoppers will like Vidlers General Store in the middle of the business section. Outside East Aurora you can pick up Rte. 400, an expressway that leads back to Buffalo. Red House Lake in the middle of huge Allegany State Park.